David is a registered US patent attorney with more than ten years of experience. He helped found the firm in 2015 which provides a broad range of patent related services, including preparation and prosecution of patent applications, design of patent programs, review and evaluation of patent portfolios, due diligence evaluations, reexamination, litigation support, and providing opinions regarding patent validity and infringement. He has developed patent portfolios that were an integral part of a later acquisition. 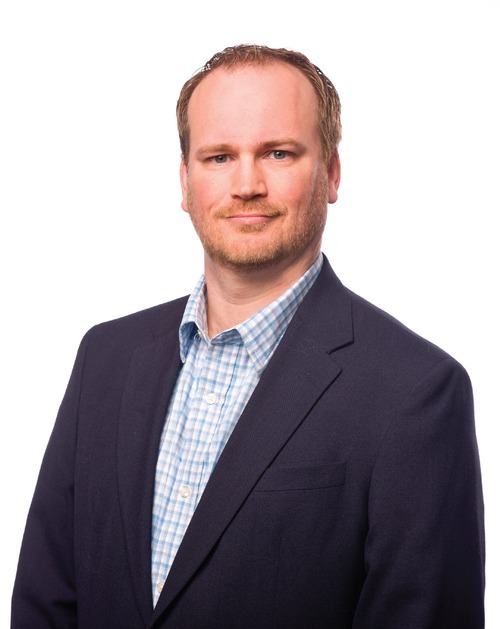 Prior to practicing law, David worked at the Special Purpose Processor Development Group (SPPDG) at the Mayo Clinic designing MEMS devices and analyzing existing ASIC designs including both digital and analog devices. David hopes to live long enough to see the Buffalo Bills win the Super Bowl. Surprisingly, he has seen the Kansas City Royals win 2 World Series. Network devices including routers, firewall/VPN security appliances, etc. Prepared and prosecuted both inter partes and ex parte reexamination requests. Prepared and argued defensive materials in negotiations resulting in favorable settlement terms in lieu of litigation. Developed a patent portfolio with a data retention start-up (Reconnex) that was recently acquired by a leading anti-virus and computer security company (McAfee) where the patent portfolio was an integral part of the acquisition.